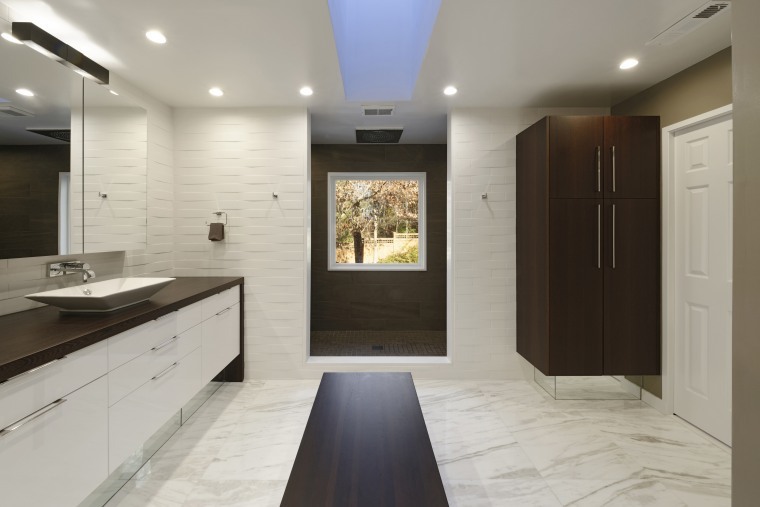 Incorporating various storage solutions, running out space will never be an issue for the owners of this bathroom. Designer Paul Bentham from Jennifer Gilmer Kitchen and Bath ensured this bathroom had enough storage space by incorporating it under the seat bench and in the armoire. 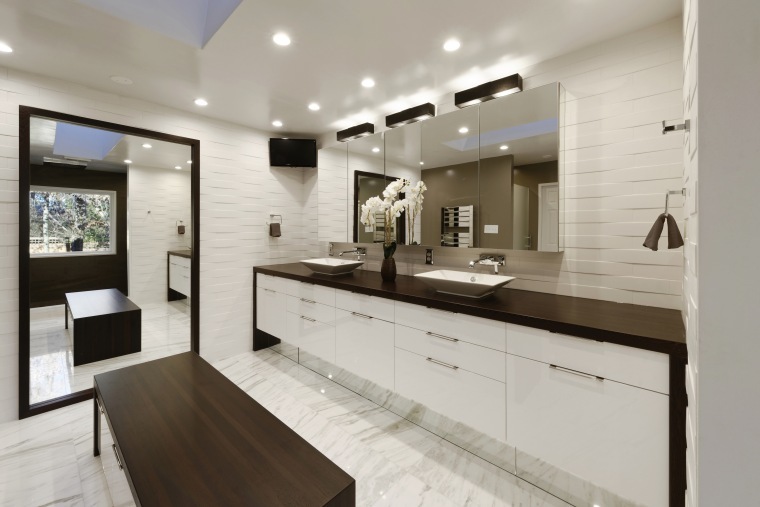 Set on tall mirrored toekicks, the vanity, bench and storage cabinet, or armoire, all appear to float above the marble floor. 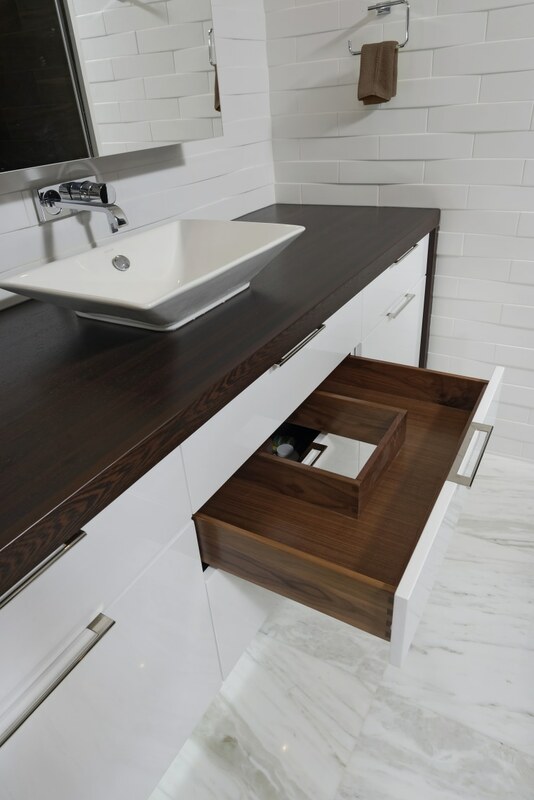 The two u-shaped drawers below the vanity sinks provide space for the plumbing while still providing storage. The bench, in the same waterfall finish as the vanity, includes storage for large items. 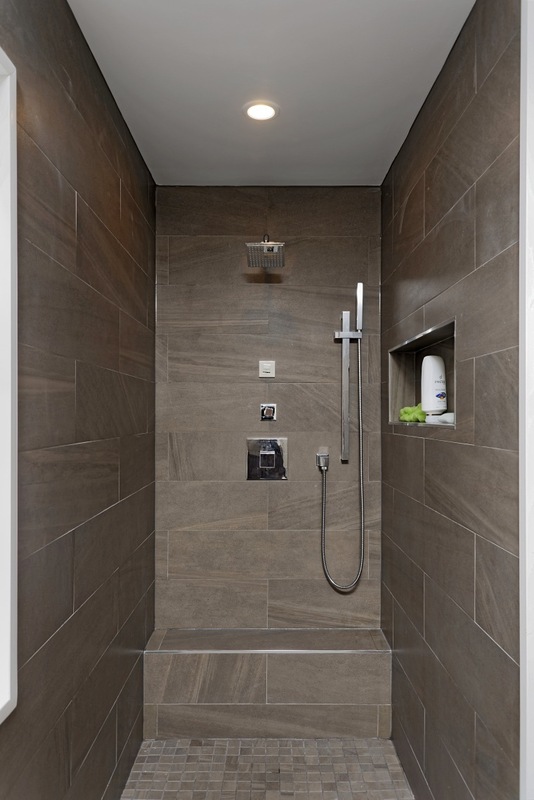 Even the individual his and hers shower cubicles have storage niches to accommodate shower products.